We are happy to say the Hortons Home Lighting location in La Grange is currently undergoing a successful remodel! Building on decades of serving La Grange and surrounding towns, we’re proud to update our building that has become a long-standing community staple. Our showroom will have brand new flooring, an updated layout and more upgrades to make your experience as a customer easier and more enjoyable. We designed the interior to best serve our generations of La Grange customers and to bring a more personal touch to home lighting and décor. 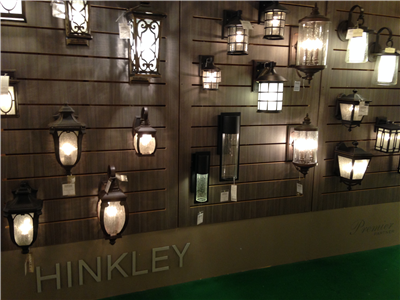 We have beautiful Hinkley displays! Visit us to see these and more breathtaking presentations. As always, we will continue to provide the same exemplary service, convenient hours and location to optimize your shopping experience. Thank you for your continued support, and we’re looking forward to revealing our new look soon!